John has over 10 years of experience in the mortgage and banking industry. 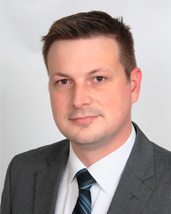 As an NMLS certified lender, John’s primary focus is residential mortgage lending, providing customers with an extensive knowledge and understanding of conventional, IHDA, VA, and FHA loans. John’s customer-focused approach helps borrowers navigate today’s complex lending environment by delivering advice and solutions that are specific to each individual customer’s needs. John believes customer relationships are vital to developing the understanding necessary to delivering the best service possible. John is a native of the Champaign-Urbana community but now makes his home in Elk Grove Village. He is married with a child, dog, and cat. In his spare time he enjoys travel, gardening, and cooking.